“I write this sitting in the kitchen sink”. “It was the best of times, it was the worst of times”. “When Gregor Samsa woke one morning from troubled dreams, he found himself transformed right there in his bed into some sort of monstrous insect”. “It was the day my grandmother exploded”. The opening line of a novel can catch our attention powerfully, and can stay with us long after the book itself is finished. A memorable first line is endlessly quotable, and lends itself to parody (“It is a truth universally acknowledged that a zombie in possession of brains must be in want of more brains”). Sometimes, a really cracking first line can even inspire a group of talented people to create a unique and beautiful art object, with a certain tiny computer at its heart. 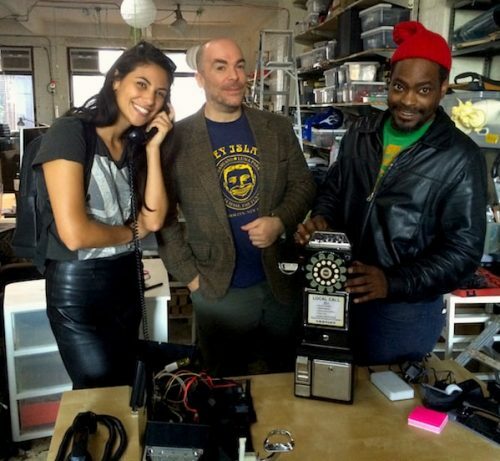 Having created Ishmael’s virtual world, Stephanie and Logan collaborated with artist and maker Ayodamola Okunseinde to build the physical Call Me Ishmael Phone. 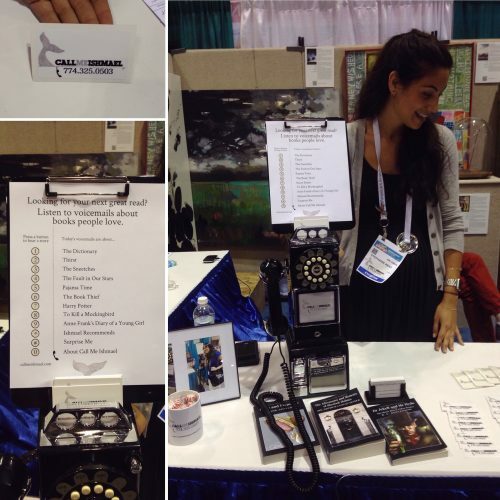 Ayo took a commercially available retro-style telephone and turned it into an interactive book recommendation device. For the prototype, he used a Raspberry Pi 2 Model B, but the production model of the phone uses the latest Pi 3. He explains: “We have a USB flash drive connected to the Pi that holds audio files, configuration, and identification data for each unit. We also have a small USB-powered speaker that amplifies the audio output from the Pi”. The Pis are controlled by a Python script written by programmer Andy Cavatorta. 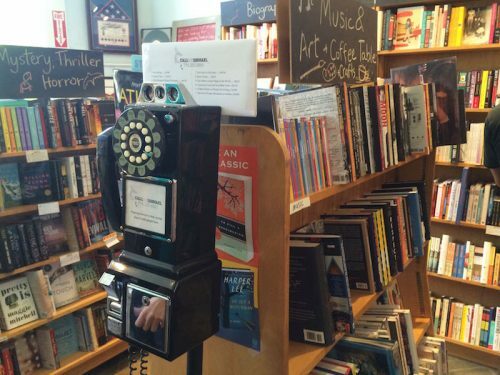 The phone can be installed in a library, bookshop, or another public space. It’s also loaded with a number of book reviews, some mapped to individual buttons on the phone, and some which can be selected at random. When a person presses the dial buttons on the phone, the GPIO pins detect the input, which triggers an audio file to play. If, during play, another button is pressed, the Pi switches audio output to the associated button. Hanging up the phone causes the termination of the audio file currently playing. The system consists of several units in different locations that have audio and data files pushed to them daily from a control server. The system also has an app that allows users to push and pull content from individual Pis, as well as triggering a particular phone to ring. The Call Me Ishmael Phone is a thoughtful project which uses the Raspberry Pi in a very unusual way: it’s not often that programming and literature intersect like this. We’re delighted to see it, and we can’t wait to see what uses for the Raspberry Pi the makers might come up with in future. And if you have a book which has changed your life, why not call Ishmael and share your story? This is a great idea! And what would add to the awesomeness is if some of the authors (the ones that are alive) were to read the first few lines of their novel(s). Cindy Mason, an AI researcher, has done something similiar with a Robot Priest. Its easy to imagine pairing the Pi with many hardware platforms, its so awesome!